Coming from humble beginnings, Gerald learned the value of budgeting and saving early in life. He also learned that most individuals could achieve financial success through proper discipline and guidance. This vision stimulated great interest and led him on the path to become a financial educator. 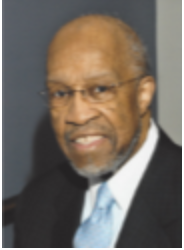 With over 20 years of industry experience, Gerald guides individuals, charitable organizations, and privately held businesses in the areas of asset accumulation and preservation strategies as the Managing Member of Proficient Wealth Counselors, LLC, the financial consulting firm he founded in 2000. A graduate from Massachusetts School of Law, and a Finance major from Northeastern University, Gerald has an appreciation for the power of the financial markets. While he understands and practices that a reasonable work / life balance is extremely important, he allocates his time with family, serving the clients of Proficient Wealth Counselors, LLC, professional, and pro-bono activities. Gerald is a CERTIFIED FINANCIAL PLANNER™ professional (CFP®) and is an active member of the Financial Planning Association (FPA). 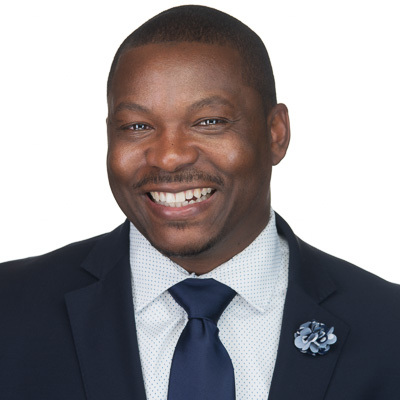 Gerald is an Estate Planning instructor for the Boston University Program for Financial Planning, and he serves as a Board Member for the Association of African American Financial Advisors. Gerald also provides structured financial coaching to residents of several communities within the Commonwealth of Massachusetts, including working with select non-profit organizations. Working in the financial services industry since 2004, Chloé has provided comprehensive financial planning services to individuals, families, corporate executives, and institutions. In addition to financial planning, her experience includes qualified and non-qualified retirement plans, executive benefits, account management, operations, and financial education. Chloé has a passion for financial planning and enjoys building relationships where her clients see her as a trusted advisor. When providing financial planning services, Chloé takes a collaborative approach with clients and their other advisors and creates customized solutions that incorporate her clients’ goals and financial objectives. While working primarily with high net worth individuals and families throughout her career, Chloé saw the impact that long term financial guidance could have on accumulating wealth, maintaining it, and efficiently passing it on to future generations. She desired to make quality financial advice and guidance accessible to early and mid-career professionals with great income and savings potential but not enough investment assets to meet the minimums of many traditional financial advisory firms. She started Financial Staples to bring comprehensive financial planning services to this underserved demographic. Chloé is also a consultant and founder of C-Level Consultants, a firm specializing in outsourced financial planning and operations services for small, independent advisory firms and multi-family offices. Chloé graduated from the University of Alabama with a Bachelor of Science in Consumer Sciences and a concentration in Family Financial Planning and Counseling. She is a CERTIFIED FINANCIAL PLANNER™ practitioner and an active member of the Financial Planning Association, the National Association of Personal Financial Advisors, XY Planning Network, and the Estate Planning Council of North Georgia. Trudy R. Turner, CPA/PFS, CFP® is a wealth management professional with more than 25 years of financial services experience. Turner joined United Capital as a Senior Wealth Manager in 2015, utilizing her expertise in financial planning, wealth management and tax planning to help clients manage their financial lives. 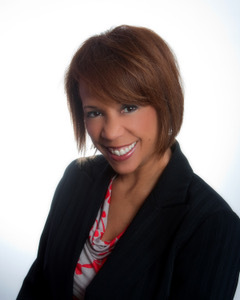 She has served her profession in local and national leadership positions for the Financial Planning Association (FPA), the American Institute of CPAs (AICPA) and most recently the Association of African-American Financial Advisors (Quad-A). In her community, she serves on the Parkland Foundation Board of Directors, as well as Chair of both the Parkland Foundation Planned Giving Council and Investment Committees. Not only is financial planning Trudy's profession, she also feels it's her calling. When she is not working with clients, she can be found teaching, mentoring and counseling students, young practitioners and career changers to accelerate their success in the financial planning profession. Trudy has taught in the Southern Methodist University CFP® Certificate Program, been a professional mentor with the University of North Texas Professional Leadership Program and celebrates each FPA Diversity Scholarship honoree, having served as the FPA Diversity Scholarship Inaugural Chair who’s team created the award.